The Housing and Redevelopment Authority (HRA) granted tentative developer status to M.O.E Craft Company, LLC on December 13, 2017. 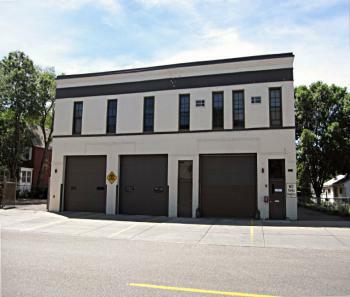 The City of Saint Paul has obtained a Historic Context study for fire department engine houses to examine their surrounding areas and identify buildings that best represent that context. In a similar fashion, the City is now engaging a consultant to complete the nomination application for the National Register of Historic Places. Department of Planning and Economic Development staff will propose a preservation program for the redevelopment of Fire House No. 10 that will reflect the intent expressed by the consultant in the nomination application. Following this, the Planning Commission and the City Council will vote to submit the nomination and accept the program. The State Historic Preservation Office will then determine if the nomination qualifies for submission to the National Park Service. If the property is successfully listed on the National Register of Historic Places, the customer will need to fulfill the Preservation Program in their plans & specs and construction. This listing may later result in increases to the value of the property and neighborhood and potentially qualify the consultant for a Federal Investment Tax Credit.